We are proud to be able to offer you superior digital printing using the latest in photo finishing technology. PHOTOQ uses the latest "state-of-the-art" technology to produce the most brilliant pictures available from conventional film, digital cameras and computer-manipulated images; the range of choices is wider than ever before. Our Frontier is the latest Frontier 770 and as always prints using Fujifilms Crystal Archive paper which is considered the paper of choice by many professional photoghraphers. Many of the larger department store type chains only offer cheap ink jet alternatives which dont compare when considering quality or archival characteristics. If you want your treasured photos to be around for the next generation then dont compromise! We can print from almost any type of media, simply bring in your camera, memory card, USB, CD, DVD, portable hard drive, laptop or even your mobile phone.We can even print from your iPhone. You can simply drop off your media or you are welcome to select and manipulate your images via one of our photo kiosks. PhotoQ staff are friendly and are always on hand to guide you through the process. If you dont have time to come into the store simply use our online services and we can post them to you. Click here to start ordering! We process our film on site and can develop, print or scan 35mm & 120 colour negative film (C41). 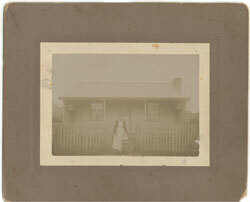 We can provide high quality scans from any film format, including 35mm mounted slides. Scans can also be made from prints. Four standard resolutions are available: 700k internet ready, 6 megabyte, 21 megabyte and 40 megabyte. Entire films can be economically scanned at the time of processing in any format. 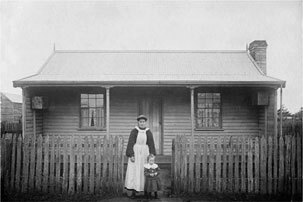 PhotoQ Negative scanning includes the adjustment of colour and density to ensure your image looks and prints correctly. Each image is adjusted by eye by trained photo finishers, we dont just hit the print button or use basic photoshop filters! Bring in your existing photos and we will scan and reproduce your image either as a digital image on a CD or we can reproduce the photo in any size you prefer. We colour adjust each image and generally the copy is better than the original. We offer discounts for bulk print scanning and we can scan your exisiting photos to vertually any file or print format. Using our wide format printers we can create and produce poster sized prints. We can also expertly create a collage of your photos with text to mark that special occasion or corporate look. Our staff are professional imaging experts and each and every image is individually corrected for colour balance and density ensuring the best result. This is performed by eye at the time of printing. We don’t just hit the print button! PHOTOQ have recovered countless precious memory’s accidently deleted from memory cards, we have a very high success rate with our recovery work due to the vast array of software which we utilize to recover your deleted, corrupted or formatted photo and video files from various memory cards including SD (Secure Digital), CF (Compact Flash), XD Picture Card, Memory Stick, MicroDrive, SmartMedia, MMC (MultiMediaCard), MicroSD, MiniSD, SDHC and more. Even if you have accidently re-formatted you memory card we can often recover your lost images. Generally if we don’t recover any images then there is no charge. 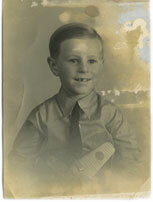 PHOTOQ offer a complete image and photo restoration service. Your image or artwork is digitally copied using advanced software and scanning equipment. Our skilled staff are then able to remove lines, tears, stains, mould and any other damage which occurs over time. Your image or is then worked on to reinstate colour, contrast, density and sharpness to bring the image back to life. Not all of our photo restoration is work is performed on old photo’s, sometimes it involves removing a shadow from the face of an otherwise perfect photo, replacing a background, removing an unwanted person, fixing skin blemishes or joining two images together. We can even, whiten teeth, whiten the whites of eyes, straighten hair and make you look thinner. Our only limit is your imagination. 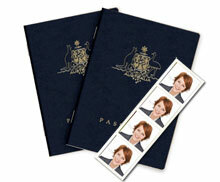 PHOTOQ can provide passport and ID photographs to suit any country or purpose. Using our digital template system and global reference guide we can guarantee our photos for their intended purpose. We provide passport and Visa photos for all countrys including U.S.A, India, Vietnam, China, Brazil, The Netherlands, Kyrgyzstan and even Australia. Infant passports are also available, parents please call us on 03 9855 0006 to confirm availability. We provide ID photo’s for Melbourne MCC membership, working with children, Student concession cards, international drivers licenses plus many more. You don’t need to make an appointment and in most cases we can provide your photo’s in around 15 minutes.